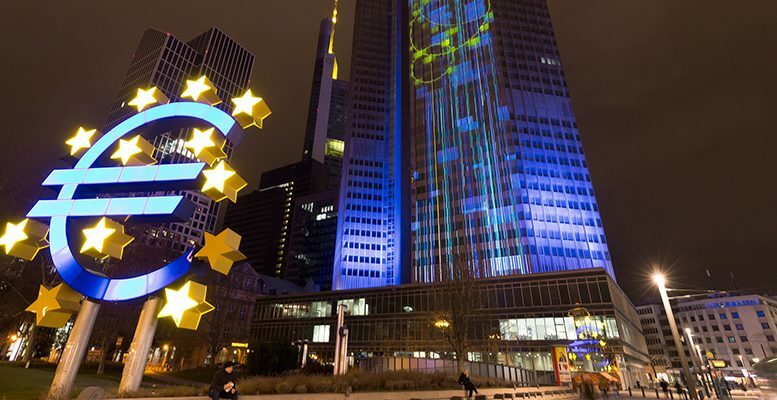 The problem loans of the big banks directly under ECB supervision totalled close to 1 billion euros at end-2015, although they declined to 921 mm in September 2016 (almost 9% of the euro area’s GDP), according to the data disclosed by Vítor Constâncio on February 3. But the problem is that this figure is not distributed homogeneously across the banks, as the difference in the NPLs “peaks” confirm; for example, the aggregate figure for the Eurozone reached 8% in 2013 when in Cyprus it was close to 50% in 2015. Differences which are still very important, given that combined NPL ratio of those countries with higher ratios in the EMU (including Greece, Italy, Ireland, Portugal, Slovenia and Cyprus) is 22.8% (4.8% in 2007) compared with 6.6% for the Eurozone (2.4% in 2007), or 1.0% in the UK (0.9% in 2007). The hetrogeneous aspect can also be extrapolated to the composition of the bad loans themselves, despite 60% originating from loans to non-financial companies a third of which, in turn, would be supported by commercial properties. Based on these initial figures, the situation would not seem so complicated, but what is clear is that the typology of these loans and, above all, of the assets affected by their deterioration is more extensive than the data shows. Furthermore, household loans would constitute a significant part of the exposure to debt, representing more than half of the unproductive loans in some countries. Unproductive loans are one of the big drags on the future of the banking sector. In this respect, Constâncio’s words should be cited: “The problem with NPLs is one of the main reasons of European banks low aggregated profitability. Let me remind that these banks’ Return On Equity stood at around 5%, which does not cover the estimated cost of own funds”. Freeing up the resources immobilised in unproductive loans will be a cornerstone for improving the European banks’ profitability at a difficult time for interest margins, in particular, in certain countries. According to the ECB, making these recourses “work” by substituting them with new loans could fuel a rise of 1 percentage point the EMU banks’ ROE. And in the case of Portugal, even almost 5 percentage points and nearly 3.5 in Spain. All that without taking into account the benefits resulting from lower capital requirements and from cheaper funding as the banks’ situation improves. In the best case scenario, the activation of the resources linked to bad loans would lead to an increase of 2.5% in lending in the EMU and more than 6% in the 6 countries with bigger NPL ratios (Cyprus stands out here with increases of 20% and Greece 10%) which suggests a hint of optimism. The diversity makes it difficult to provide any coordinated response or, at least, within homogeneous parameters at a European-wide level. But problem loans are such a burden for the banking sector that the ECB is looking for solutions. a) Internal actions. Includes several restructuring options. b) Asset protection schemes. Sharing the risk to limit losses, generally with public help and with a short-term horizon. The potential losses are high, but the probability low. c) Securitisation and synthetic securitisation. An alternative to a direct sale, allowing for the transmission of risk. d) Asset management companies (AMCs). Disposal of all assets, perhaps, with some public help. That would be with a long-term horizon and would imply acknowledging greater losses. e) A direct sale. The assets are sold directly to investors but this requires the market to have sufficient liquidity. The big challenge with respect to the validity of this option is very closely linked to national institutional frameworks, which complicate judicial solutions, and above all extra-judicial solutions, for resolving the bad loans problems. And they also work against these companies: the limited range of possibilities for dealing with insolvency, the length of the process for making claims and access to the necessary financial information.